If your little girl loves the outdoors, get her the T–shirt to show it! 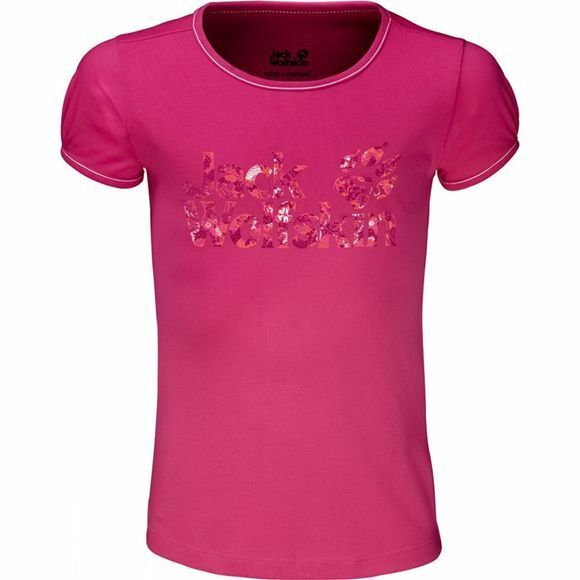 with its large Jack Wolfskin print, the Girls Brand Tee is a real summer favourite. The fabric is a blend of organic cotton and synthetic fibres, so it feels nice and soft against the skin and dries quickly.